Home - Lodovico & Associates, P.C. We want to be your trusted tax professional! From Individuals to Businesses to Estates, we can help you achieve your financial goals, taking every tax advantage possible. For a limited time, we are offering a $50 “thank you” reward for all new client referrals. Our expertise ranges from basic tax management and accounting services to more complex tax planning, accounting and advisory services. Our CPAs will meet with you personally to discuss your individual needs. We can prepare your personal tax returns and plan for your financial future. We can support your business and help you thrive with accounting, bookkeeping, and advisory services. Rely on us to get your new venture off on the right foot! We can guide you through the process of creating a new business with payroll preparation, software training and personal consultation. We can assist you in handling the estate of a recently-deceased loved one by organizing the necessary paperwork and filing the appropriate tax returns. Ask us about our Nonprofit capabilities to see if your organization qualifies. We are now accepting Bitcoin as a method of payment. Call us today to learn how trading cryptocurrency affects your tax status. Everyone knows that Pittsburgh is a sports town – call us today to learn more about how we cater to athletes and their unique tax needs. I have been a client of Lodovico & Associates for 30 years. They have saved me many tax dollars through the years. But more important, they are an easy office to work with, full of helpful people. 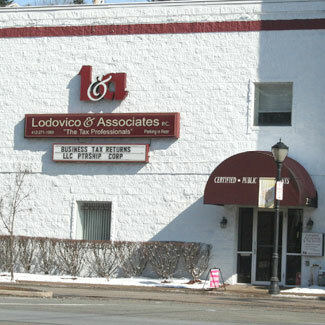 Lodovico & Associates have been preparing my taxes for almost 50 years. Their service is accurate, dependable, and professional… that’s nearly five decades worth of peace of mind. Your service is the greatest, 25 years you have done your job to perfection. Have our total trust, treated like family. Always there when needed. The staff is always friendly and remembers us by name, no matter how long it’s been since we last saw them. I would recommend Lodovico & Associates to anyone! 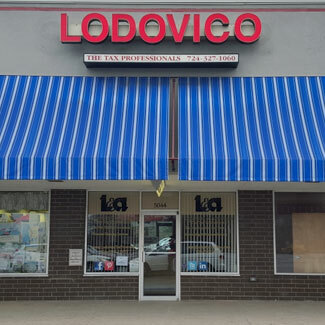 We opened our business in 1991 and Lodovico & Associates has been taking care of our accounting and real estate needs since then. We have always been extremely pleased with their quality and their knowledge of our tax needs in addition to their direction for any tax planning every year. I appreciate so much all the help and guidance that Lodovico & Associates has given our company for the past 50 years. We couldn’t have done it without them.